Why “go under the knife” and cope with risks and lengthy downtimes when you can opt for a non-surgical solution? A non-surgical solution that is as – or more – effective? ULTRAcel, the revolutionary skin tightening and lifting device, offers a safe, proven surgery alternative that reveals toned, youthful and beautiful skin. The choice is clear. As we age, we produce less collagen and elastin, which gives skin its resiliency and elasticity. ULTRAcel fights the hands of time with a potent combination of radio frequency and high frequency ultrasound to stimulate production of these essential – youthful – proteins. At the same time, ULTRAcel tightens and intensifies existing collagen, helping you achieve a smoother, firmer face and neck. The healing process kickstarts collagen production, tightening and lifting the skin. A face and neck lift without the need for a knife. Grid Fractional Radio Frequency. GFR introduced precisely targeted heat to the the dermis and epidermis, smoothing existing collagen and stimulating the production of new stores of the protein. GFR immediately causes “collagen contraction” and then begins to remodel collagen cells to tighten the skin. Excellent for skin tightening on its own, when combined with HIFU the lifting effect is like no other. 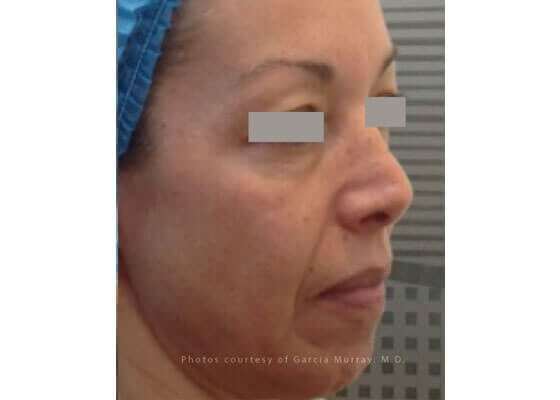 Fractional Radiofrequency Microneedling. This technique combines microneedling with Radiofrequency to produce ultimate collagen production effect. treatment produces exemplary results on acne scars and stretch marks. 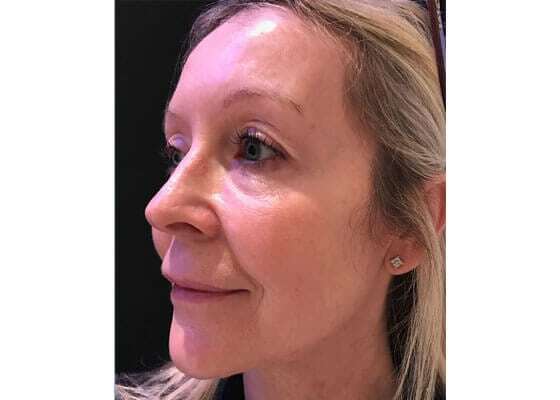 The beauty of this device is in the combination of three highly effective techniques into one, allowing for your Premier Laser & Skin practitioner to create a bespoke treatment plan just for you. ULTRAcel targets each layer of the skin for maximum results that go beyond the surface. The result is tighter, firmer and younger-looking skin. Schedule a consultation today and learn more about ULTRAcel. This exciting treatment option delivers exceptional results with minimal downtime. During your initial consultation our expert practitioner will advise you on the best treatment for the results you desire. Our experienced practitioner will use the ULTRAcel to target your concerns with a combination of HIFU, microneedling and radiofrequency. After the treatment your skin may be sensitive and red. Down-time can last up to 4 days depending on the settings used. The ULTRAcel combines 3 technologies in one. The microneedling and HIFU may cause some discomfort. Numbing cream can be used during the microneedling treatment. This depends on the mode used and the results desired. We will generally recommend between 1 and 3 treatments. HOW DOES IT TAKE TO SEE RESULTS?